Topics: New Bikes For Sale, What People Say, and Refurbished Bicycles. abettercycle.blogspot... A Better Cycle: Black Star Bags! 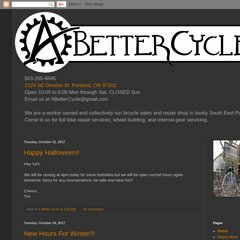 abettercycle.blogspot... A Better Cycle: Brand New Mixte Bikes for Sale!